This entry was posted in Tollywood and tagged Illaiyaraja, Illayaraja, Jandhyala, Jayaprada, K. Vishwanath, Kamal Haasan, Kamal Hassan, Sagara Sangamam, Sarath Babu, SP Sailaja, Telugu, Tollywood, Veturi. Bookmark the permalink. EXCELLENT review… for a master piece.. My most fav scene/song is thee on in which Kamal feels guilty of using his dance for a fimly song infact he hates dancing in that song 😀 The way Jaya and Kamal sit on the rock and go thru the Invitation card for a dance festival and Balu/Kamal realises it has got his pic in it.. Numerous such scenes… I can watch this movie ‘n’ number of times.. Thanks 🙂 That scene where Kamal hates himself for turning a Krishna & gopi dance into the filmi dance is great and it really does explain his character. I loved the scene when Madhavi gave Balu the magazine, and next thing you know his room his wallpapered with copies of the picture. I have Swayamkrushi (no subs yet again) and will keep an eye out for more by K Vishwanath. I did eventually find a subtitled copy but sadly the songs weren’t subtitled – but really the first 2 times I saw it were without the subtitles and I don’t think I missed very much. As Krishna Bhargav said, the director K. Viswanath and the producer Edida Nageswara Rao made a series of dance based films in the late 70’s and 80’s, of which “Siri Siri Muvva” was the first, though Shankarabharanam was the first to get extreme popularity. In all of them one “gimmick”, if you want to call it such, was the portraying of dance sequences in “every day” settings, rather than in formal performances. So there are many scenes in all of these films where characters break into classical dancing while doing mundane chores, and without the “proper” costumes. 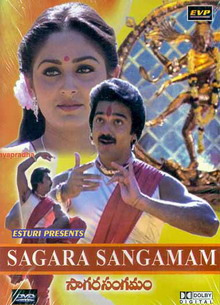 When I first saw Sagara Sangamam, I was suffering from an excess of K. Viswanath glorification by the media and population in general, and also from seeing several of his “dance” films in succession, which I thought had their own “formula”, even though each was touted to be “unformulaic” and “pathbreaking.” In SS I thought the conceit reached its pitch at the ending. 🙂 As a result, while I enjoyed the dancing well enough, I didn’t have the OTT adulation reaction that everyone around me did. 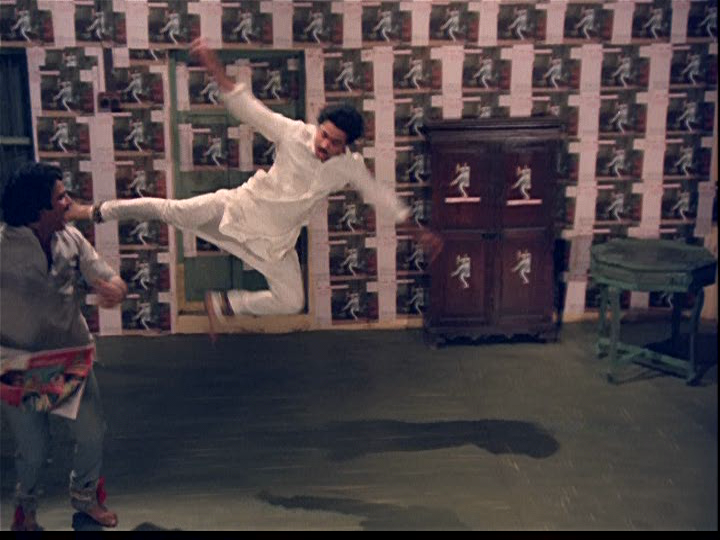 Anyway, I have recently decided to rewatch it, mainly for Kamal’s dancing, and am about half way through it. I may revise my opinion of it after I complete watching, since now I am doing so in isolation. It is almost impossible for me to imagine what someone who doesn’t know Telugu and doesn’t have subtitles can get out of the film beyond the fantastic dancing. I am very impressed that you could gather so much of the story without subtitles. One thing that you have missed is the beautiful lyrics to the songs, but I don’t know if any subtitles could have done them justice. I’m glad that you liked the film so much even without the subtitles. Thanks mm 🙂 I totally understand the concept of fatigue after having had a surfeit of some directors/actors etc. I learned to force myself to take a break so I can try and avoid the cranky feeling of having seen it all before and give each film a chance. But when there is such a clear style and structure used by one film-maker, it’s hard to get past. Maybe it’s an advantage to know very little about the Telugu film industry at times! I was quite comfortable watching this without subs as there is a strong structure to the story and things made sense as they unfolded. The only thing I really wished I had subs for would have been the songs, but as you rightly say, the subtitles often fail to do justice to the lyrics. Have you seen the Hindi film Swades? The song subtitles are insane. They are an example of when it would have been better to have no subtitles than mock-Shakespearean ones. Anyway. Along those lines, when I first saw Sankarabharanam, it came with English subtitles (in a theater). I was particularly impressed with how well the song lyrics had been translated, since they were dealing with some sophisticated religious and philosophical concepts and symbolism. Oh what good timing! A certain Telugu-speaker has just recommended this to me and it sounded good in the imdb description – and even better in yours! Hello, please upload the english sub of Sagara Sangamam, the desisub page is offline and i can not find it anywhere. Thank you. I left a message on dolce’s blog recommending this movie few hours back and now I see your review for the same movie here . How wonderful. Nice review and glad that you liked it without the subs. Aha! So THIS is the movie that that wonderful succession of different dance styles is from (the first song you posted)! 😀 Wonderful! All the more reason to watch it (not that Tolly would let me get away without watching it anyway :P). 🙂 And I am so using the old “subs on the laptop and movie on the TV screen” trick, I want the full experience, dialogues and everything. So happy to see that you reviewed this one! I’ve been thinking lately how there is a dearth of K Vishwanath film reviews on the web, and I was considering finally making myself watch this one all the way through , so it was wonderful to read your well-written review. If you want subtitles, you should look for the Tamil-dubbed version of it called Salangai Oli, though I’m not positive the songs are subtitled. For some reason I’ve always had the impression that Salangai Oli is a bit more well-known or remembered than the Telugu original because folks often forget that it’s only a dub when they talk about it. I have heard so much good about this movie that I would like to see it, too. Alas, I can’t find any subtitles. Do you think it would be possible for you to upload these subs somewhere (I’m thinking of sites such as Bollynook or opensubtitles. Thanks by advance if you can do it. I do not have much to add to the excellent review. One thing that might have improved with subtitles is the background love story of Raghu and Sumathi. I thought that was sweet. After they get married, the song sung as their ‘wedding gift’ and the focus shift to Balu and Madhavi and our expectation of them as next couple was one of the memorable parts. Wonderful review! I try to watch SS every time it gets telecasted on TV. My favourite scene is where Kamal Hasan drunk dances on top of the well. Jayaprada gets worried and just before rushing out, applies a bindi because he she doesn’t want him to know that she’s a widow. When it rains later, and her bindi starts dripping away, he tries to protect it with his hands cupped on top of her head. 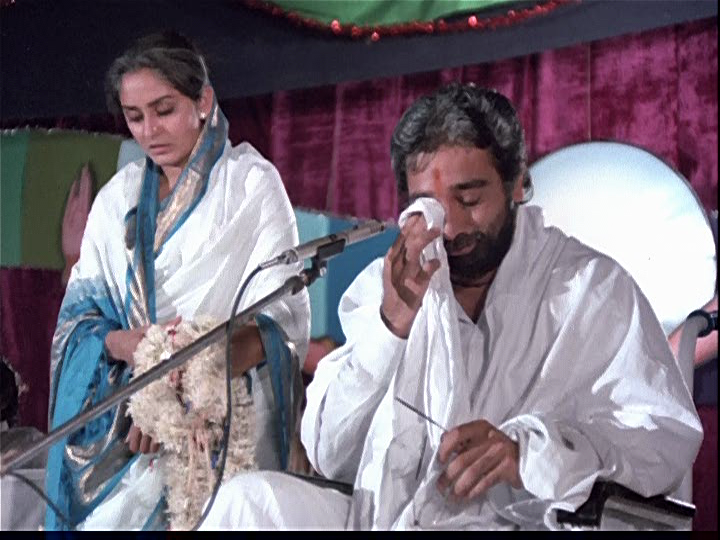 It is a very symbolic scene enacted brilliantly and I can’t forget the look on Jayaprada’s face. Little touches like these are what make K Vishwanath’s movies great. Swathi Muthyam is another piece of gem. It starts Kamlal Hasan and Radhika. wonderful review but u never mentioned about the music? it has some finest music and heart tugging BGM. hatsoff to ilayaraja!! It’s 2015 and still no Eng subs for this movie. I would love for someone to release a remastered subbed version. Vinod – I’ve deleted your comments as they were rude and abusive. If your biggest problem in life is that people appreciated this film in Tamil rather than Telugu, go count your blessings. Lots of people would love to have such insignificant issues to worry about.